Happy Sunday stampers! Can't believe how quickly the weekend went. Back to my other "job" tomorrow. I also can't believe that we are entering the last week of November and we are still having 80 degree weather, not that I'm complaining, but sometimes I wish we did have seasons in Arizona, well at least in Phoenix. 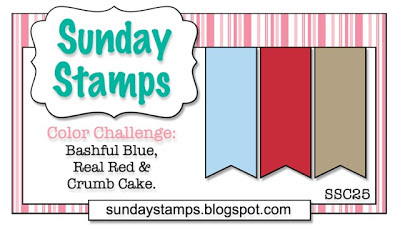 So as I mentioned yesterday, I was selected as a Guest Designer for the Sunday Stamps Blog challenge! I was so excited when I got the email from Holly notifying me. You can check out the blog here and all the other beautiful creations for this week's challenge. 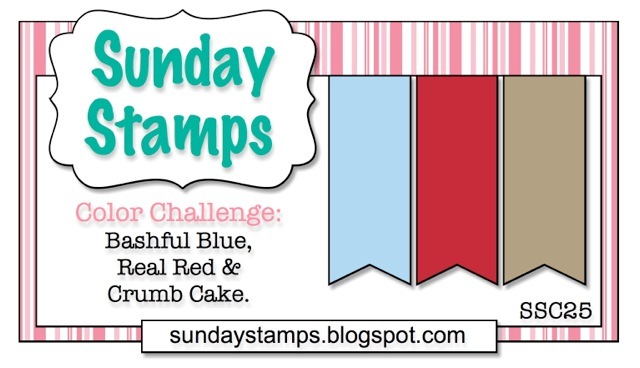 The challenge this week is a color challenge, using the colors bashful blue, real red and crumb cake. I used the stamp set, Moving Forward, such a cute stamp set. This stamp set supports the Ronald McDonald House Charities, for every purchase from this stamp set, $3 goes to the RMHC. Thanks for stopping by today. Enjoy your day. Until then. Adorable!! I just love all the detail you've added here. 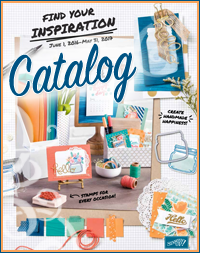 So glad to have you as a Guest Designer with us this week at Sunday Stamps! 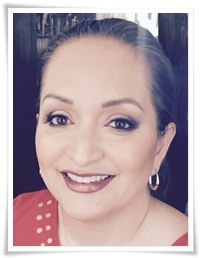 Thank you ladies for your wonderful comments and allowing me to be a guest designer! I had fun! Here's to the next challenge! This came out so cute.. I love how you used the challenge colors. 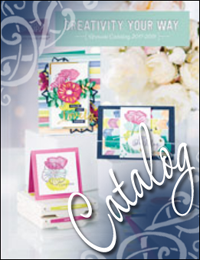 Thank you for joining us as a Guest Designer at Sunday Stamps.